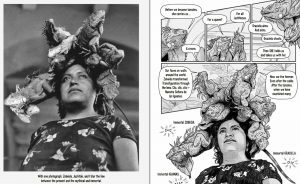 Artist and illustrator Zeke Peña talks about making comic books and bringing photographer Graciela Iturbide’s work to life in a new graphic biography. 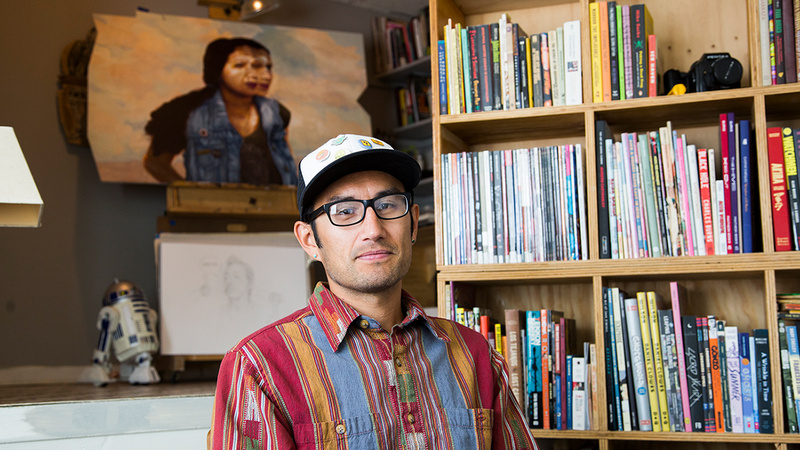 I met Zeke in his studio in El Paso, Texas. Surrounded by his paintings, books, and artists’ prints, we talked about what it’s like to tell an artist’s life story in comic form. Sarah Waldorf: Tell us about yourself and your point of view as an artist. 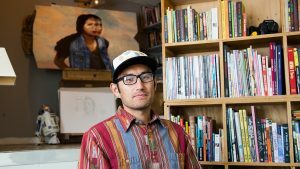 Zeke Peña: I’m a painter and illustrator and comic book artist from El Paso, Texas, on the border between the U.S. and Mexico. My point of view as an artist comes from growing up here on the border here in El Paso. Also being from New Mexico, I think that my perspective is really shaped by the environment, the surroundings, and the cultural mashup that happens here. 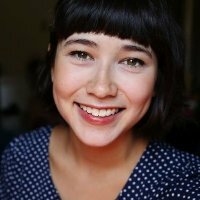 I’m really interested in telling stories, and I also do community-based work. Often my work is tying these two things together. Storytelling is often the way we build community. SW: Tell us about the graphic biography. ZP: It’s a collaboration between myself and Isabel Quintero, the writer for the project. 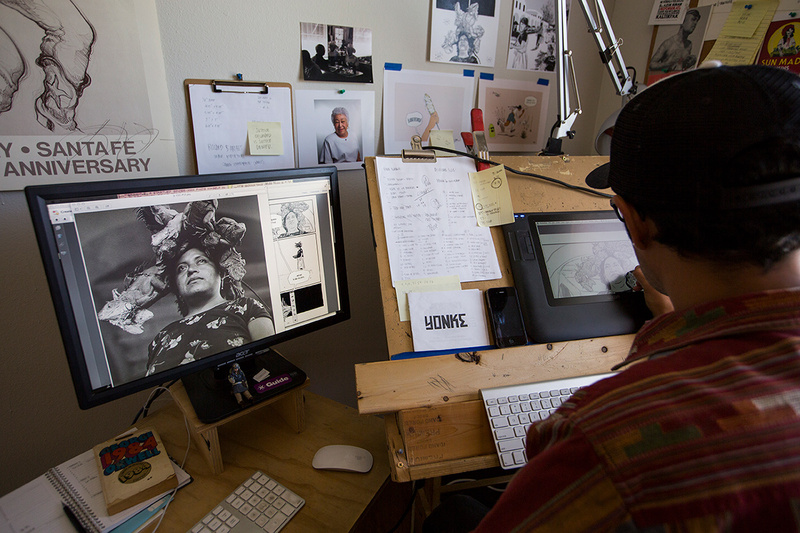 We really wanted to do something unique—it’s part art book, part comic book, and part biography. It’s a biographic depiction of Graciela’s work that also tells the story behind the work, going into her life experiences and development as an artist. SW: How did you first encounter Graciela’s photography? ZP: This is kind of a serendipitous question. I’ve been waiting to tell somebody this story, I haven’t really told anybody. I was in college and studying art history and decided to spend my summer doing a road trip through Mexico. It was the first time that I had gone anywhere beyond Juarez (which was just beyond the border from where I grew up in El Paso). El Paso and Juarez are kind of clumped together in an otherwise isolated area, there’s not much just beyond Juarez. I decided to take a bus trip through Mexico without an agenda, I was just going to get on the bus and go. As I was preparing for my trip, my partner at the time gifted me a little book—a travel-sized collection of Graciela’s photographs. At the time I had no previous knowledge of her, I’d never seen her work before. But it was the only book I took; that and a journal and my camera. It was almost a coincidence that it was the only book I had with me, and as I traveled through Mexico, I became really familiar with her photography. It felt like a very unique encounter with her work at a significant time in my life. It was very fruitful and inspiring to me to be able to understand her work. I still have that book to this day. SW: How did your creative background influence the way you approached telling this story? ZP: I have a background in film and video—and comic books obviously—but photography was really the first experience I had in making things. In high school I worked in journalism, but when I graduated I gravitated more and more toward photography. I used my dad’s camera, an Olympus OMI, and it was really what I learned to “frame” the world with. It is how I learned to compose. After I graduated from the University of Texas at Austin, I had some film and theory classes under my belt. I started working with a production company here in El Paso, and because we don’t have a huge production scene I learned how to work in every department out of necessity. I worked with directors of photography as a gaffer and this experience was significant in learning to understand the way light works, and really how to paint with and shape light. So for me, my experiences in filmmaking and photography helped me technically understand Graciela’s photographs—I could see the choices she was making and reflect how and where the images were made as I was illustrating them. SW: What parts of her photographs or visual language were the most inspiring to you as an illustrator? ZP: Graciela’s photographs tell such layered narratives. You get a sense of Graciela’s own experiences when looking at her images. She’s having conversations with the people in her photos, and you can sense their connection in her images. You get a sense of her subject’s world, how they live, their culture, their sense of dress. I also feel that sometimes she hides some humor in her work—but that’s really the beauty of her photography, she allows for space for you to interpret and come to meaning on your own. I tried really hard to translate some of that lightheartedness and humor that I love in her work. I didn’t try to copy her exact compositions but use her photographs as reference material. Her work is really a jumping off point for my process. SW: How did you and Isabel decide that the book would be in black and white? ZP: Graciela has said herself that she thinks color is a fantasy, and that is why she chooses to shoot in black and white. Black and white can feel stripped down and raw and illustrations can be completed with just a single pencil. There’s a strong connection to the hand of the artist. Doing the whole book in black and white also helps to blur the lines between Graciela’s photography and the illustrations. I wasn’t so interested in trying to copy her photographs exactly, but I wanted them to look like they belonged in that world, and I think the black and white really helped achieve that. SW: What was it like to work with Isabel? ZP: Isabel and I had collaborated before on the cover for her novel Gabi, A Girl in Pieces, so working with her again was just the next step in the development of our creative relationship. I’ve worked on book covers in the past and it’s common that you just design the cover and that’s that. There’s no back and forth with the author. But we’re lucky to have found a harmony in working together from start to finish. We have both learned a lot in this process working on this scale. She’s been crucial in really diving into the research, digging into materials at the Getty Research Institute, and even speaking with Graciela herself. SW: Who do you hope reads the book, and what do you hope they’ll feel when they’ve finished it? I sometimes think about being in middle or high school and having to do a report on a book. It’d be really cool if a young person would be able to take this book and use it in a project or to use as a tool for their own development. I don’t think that comic books are a little kid’s format—I think people can understand Graciela’s story and photographs in a new way. Interested in Graciela’s response to the book? Read our multimedia story on the making of the book, including a visit with Graciela in her studio in Mexico City. Read our interview with Isabel Quintero, writer of Photographic: The Life of Graciela Iturbideon the Getty Iris. 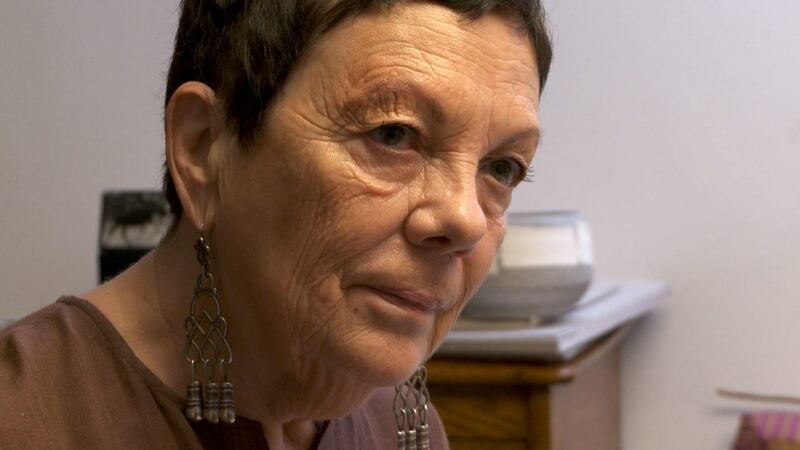 Photographic: The Life of Graciela Iturbide is available via the Getty Store. This entry was posted in Art, Art History, Photography. Bookmark the permalink.